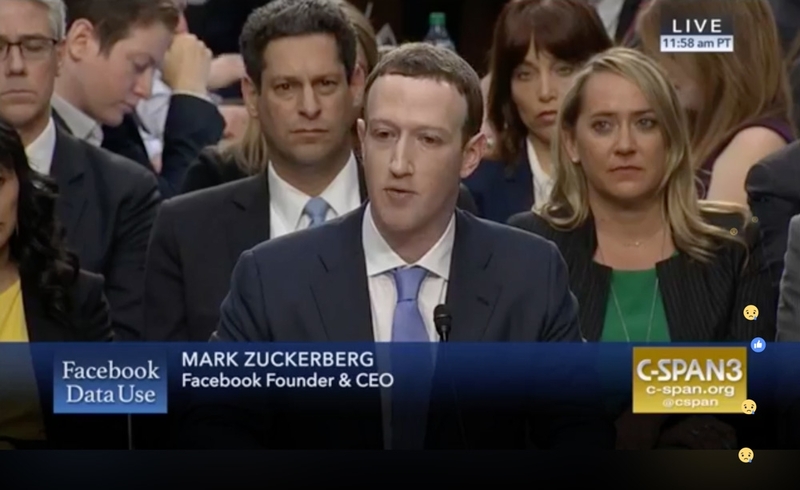 At the tail end of a year full of egregious data mining scandals and privacy violations by corporate giants like Facebook, Google, and Equifax—behavior that went virtually unpunished in the United States—Sen. Ron Wyden (D-Ore.) introduced a bill on Thursday that would dramatically strengthen internet privacy protections and hit executives who violate the rules with up to 20 years in prison. “Today’s economy is a giant vacuum for your personal information—everything you read, everywhere you go, everything you buy, and everyone you talk to is sucked up in a corporation’s database. But individual Americans know far too little about how their data is collected, how it’s used and how it’s shared,” Wyden said in a statement. There need to be consequences when corporations don’t protect your data. My bill will put reckless CEOs in jail if they lie about protecting your personal information. Congress must take action to increase transparency about how corporations sell, share & use data. I look forward to working with my colleagues in the Senate to put measures in place that will put consumers back in the driver’s seat when it comes to controlling their own data. Titled the Consumer Data Protection Act (pdf), Wyden’s legislation aims to fill a void left by the federal government’s failure to confront the new and complex threats facing consumers in the internet age. While Wyden’s legislation is likely to run up against strong opposition from tech giants and the lawmakers who do their bidding, consumer advocacy groups applauded the new bill as a crucial first step in the right direction. This entry was posted in Civil Rights, Corporate Personhood, Corruption, Cybersecurity, Economics, Government, Human Rights, National Security vs Police State, Social Justice, Technology, Women's Issues, Workers' Issues and tagged Capitalism, Consumer Data Protection Act, Corruption, data mining, data privacy, Economics, Equifax, Facebook, Google, Human rights, internet, Ron Wyden, Security, social justice, Social Media, technology, Women's Issues, workers' issues on November 3, 2018 by ew.